Has your property been broken into? Residential, commercial, industrial, resources or Government; we can help you with expert security installation, advice, assessment and monitoring. Learn more about our quality security products, latest technology & installation services for the utmost security and safety. Is your property secure and safe? We can identify vulnerabilities and recommend changes for improved protection of your home or business. Trusted for Quality & Service! Gronbek Security is one of the largest residential and commercial locksmiths in Perth, with a team of police-licensed locksmiths servicing the greater metropolitan area. We have been members of The Master Locksmith Association since 1986 and are trusted by homeowners, landlords and real estate agents, as well as commercial, industrial and mining operations. We offer a comprehensive range of locksmith and security installation services. With over 30 years’ experience, we can install the latest in commercial grade locks and other security products to protect your home or business. Our established shop in Fremantle, along with our premises in Welshpool, offer a range of high-quality products and helpful advice from our knowledgeable team of locksmiths and security technicians. Servicing Yanchep to Mandurah and even Rottnest, Gronbek Security always has a solution, whether it’s an emergency or you need to upgrade or replace your current security. Speak to our friendly and knowledgeable team on (08) 9433 3311 to find out how we can assist you. Thank you to Gronbek Security for the great advice and service provided when I had to choose a safe and then later have it installed. I came into their Fremantle store and the workshop staff advised me of different safe options. I took the information away to consider which would suit be best. 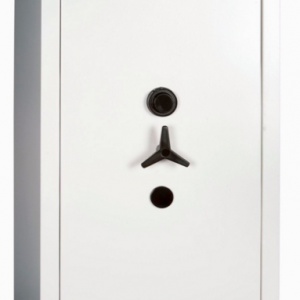 Upon installation the locksmith helped me with the best location for the safe to go. I much say they are very good at what they do. Happy to recommend them. I own a family operated business in Canning Vale and last Friday my staff were unable to enter the premises as the door lock was not working. I called Gronbek Security at 10pm and within the hour they had arrived and the problem was fixed. Thank-you so much for your professional and timely service and I would recommend Gronbek Security to all my friends and customers. My lock had been buggered for some time and last Tuesday night it gave up completely. I tried a few locksmiths but no one answered the phone until I tried Gronbek. The guy arrived within 10 minutes, unlocked and fixed the door. Keep these guys in mind. I was in a terrible situation last week when I locked my baby in the car. I still can’t believe it happened. Lucky my phone was in my pocket and I googled for a car locksmith to help me. The lady on the phone was so sympathetic and rearranged jobs to fit me in immediately. So grateful they came so quickly. Happy it turned out well. It could have been much worse. Find out why Gronbek Security is a leader in home & commercial locksmith services. Our locksmiths service all metropolitan areas, north and south of the river, including Rottnest. 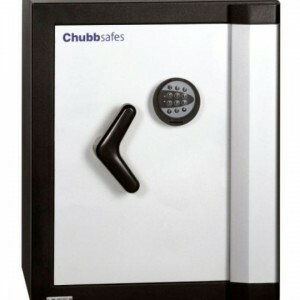 Keep your employees & assets safe with the right security solution for your business. Locked out, lost your keys or had a break in? Our mobile locksmiths Perth provide a fast response. Protect your home and family. Our locksmiths professionally install all security products and systems. If you’re not sure what you need or feel your home or business security could be improved. Our team of Perth locksmiths can offer advice on a solution to suit your needs and budget. It may be as simple as choosing a new lock for the front door or designing an integrated security system. Our locksmiths have been in the business a long time and are often asked the same questions. How can I prevent a break in? Do I need to change locks? Is my home secure? We can answer your questions so you can be informed about your security and safety. How secure is your home or business? The best time to consider your security is before a break in occurs. Gronbek Security offers a free security assessment and quote. Our professional team has up to date knowledge on the latest products in security and can provide you with information on the best product choice. We can upgrade, repair or replace your existing locks and systems or install products to complement your existing systems.